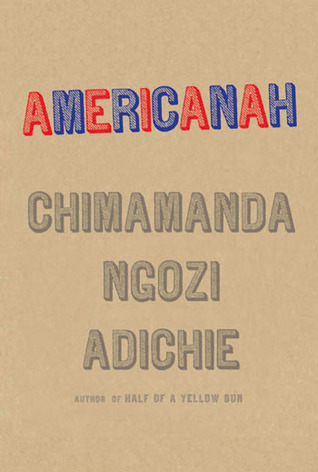 Americanah is surely one of the most eagerly anticipated books of 2013 for a whole slew of literary fiction fans. Adichie has stunned and startled with her two previous novels, Half of a Yellow Sun and Purple Hibiscus, and many have high hopes for her latest offering. At the outset, we are introduced to one of the main protagonists of the novel, Ifemelu. She is currently undertaking a fellowship at Princeton University, drawn to the city due to its ‘lack of a smell… perhaps because the other American cities she knew well had all smelled distinctly. Philadelphia had the musty scent of history. New Haven smelt of neglect. Baltimore smelt of brine, and Brooklyn of sun-warmed garbage’. Ifemelu has just posted her farewell onto her popular lifestyle blog, entitled ‘Various Observations About American Blacks (Those Formerly Known as Negroes) by a Non-American Black’. Her reasons for this choice are outlined in the following way: ‘Each post scraped off yet one more scale of self until she felt naked and false’. The second chapter of the novel follows Ifemelu’s former love in Nigeria, Obinze. From his introduction onwards, a lot of politics creeps into the story, until it is filled with the brim with both accusations and musings on global society. Adichie is clearly well informed in such things, but her newest offering seems to be driven more by politics than character and plot. Unlike in her other novels, this political element is not used as a backdrop which the characters live against, but as an overarching device to try and drive the plot along. As a result, Americanah is bogged down in mounds of such commentary at times. There are interesting enough comments on how deeply entrenched social values conflict with the world’s new advances – technology particularly, and the ease of movement around the globe for its citizens, for example – but it begins to feel repetitive after a while. Throughout, Adichie focuses on the everyday events which do not shape us, but which fill our time regardless. At the start of the novel, a long scene ensues in which Ifemelu is having her hair braided in rather an anonymous sounding and rundown salon named Mariama’s. Adichie seems particularly eager to describe the neglect and the violence of American society alongside its positive points for immigrants. Americanah is essentially a novel about choices, and how the ones we make can alter our lives altogether – how a move to America can give better prospects for immigrants, but how the homesickness of their previous life can creep in and threaten to overthrow their stability. Sadly, Americanah does not match up in any way to the wondrous Half of a Yellow Sun and Purple Hibiscus. It does essentially follow the same pattern – the divide between rich and poor, the notion of identity, the disparities between different countries, societies and groups of people, and a love story or two thrown in – but it does not have the same entrancing power as her other novels. Whilst in her previous books her scenes and characters have both felt real, those in Americanah are essentially flat and lifeless. The protagonists here are not at all easy to care about. It feels as though there is a kind of wall of detachment which has been built up around them, which is essentially impenetrable for the reader. The novel is well written, and there are some powerful scenes within its pages, but there are no real undercurrents or surprises which serve to pull the reader in. The main storyline is not strong enough to carry the book forwards, and it seems to fizzle out before it ever really gets going. Whilst Adichie is clearly a gifted author, Americanah does not showcase the talents which are so apparent and prominent in her previous novels.